Tonight I had the privilege to speak to and read my Iraq War memoir to veterans of WWII, Korea, and Vietnam. 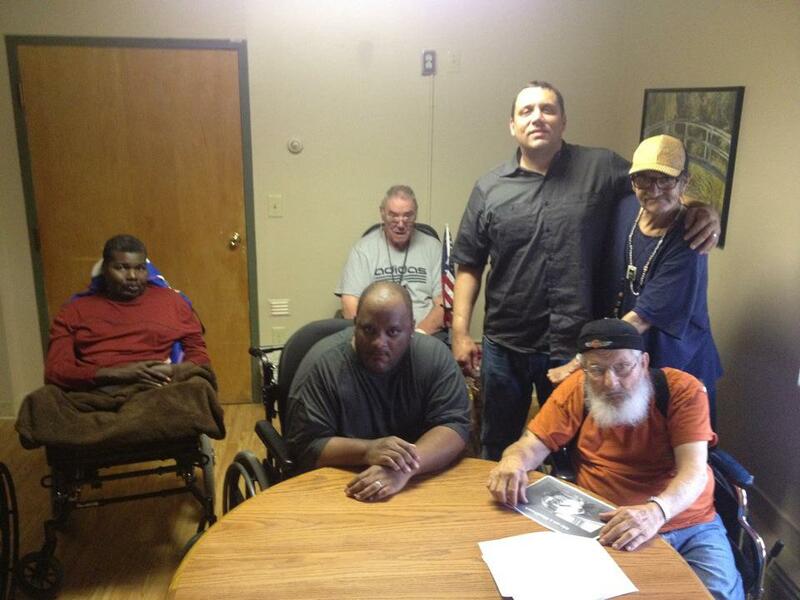 These veterans live in a long term care living center funded by the state. These are men that society has forgotten about for the most part, hardly visited by anyone even if they have living family members, but these men are real American veterans of our foreign wars. Some of them are either missing limbs or can’t use the ones they have due to strokes and ailments brought on by hard living. I started with a small slide show made of my war pictures. I described the men of my unit and I had the complete attention of every single one of them, even the few with dementia. They have the same memories with a different setting and these memories cut through even the worse cases. This amazes me. It amazed me tonight almost to tears. When I got to the pictures of Eric I could see they felt the pain I felt. They knew the pain of losing someone as close as a brother-in-arms. 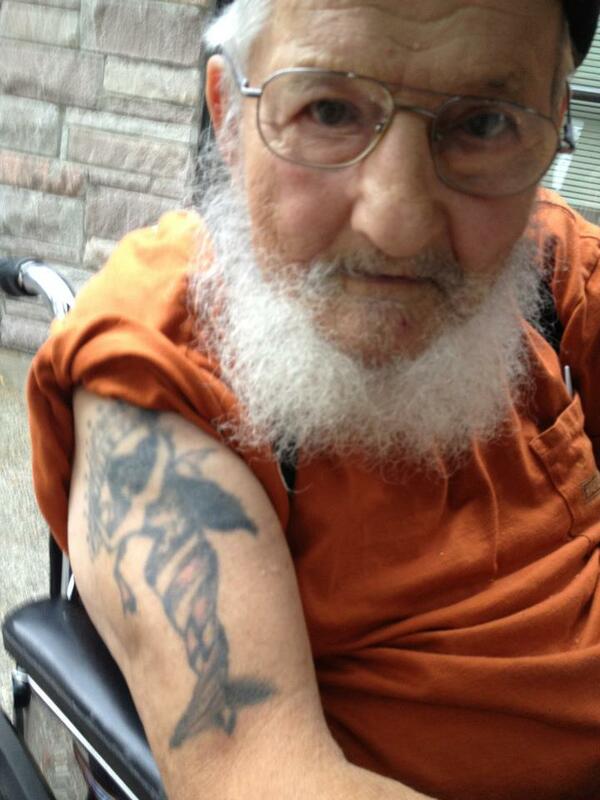 Ralph, the World War Two veteran, would not take his eyes off the pictures. Their stories are amazing and I wish I could go into them, but I don’t want to share them without consent. Many of them lost themselves in drugs and alcohol and because of that they lost some of the use of their bodies. These men didn’t have the support system I had when I got back. If I didn’t maybe I would have been lost too. I let them know the support I had when I came back was there because of the veterans of their wars. One infantryman from Vietnam couldn’t leave his bed or speak. I showed him pictures and told war stories at his bedside. Due to a stroke he could only grunt but I could see the lights go on in his eyes. I wish I could describe these moments to give them justice. He started with joy, joy that someone is talking to him. Imagine that, simply speaking to someone can make them so excited. The next emotion was guarded, almost embarrassment for his condition, but when I saw the American infantryman behind the eyes of the bed-ridden stroke victim his emotion changed. We had a common bond and I understood him even though he could only communicate through grunts. He was proud again for the first time in too long. At the end of the reading I went out to the smoking area with the guys. I told them I don’t usually smoke unless I’m with my army buddies so Ralph gave me a Camel Light. Ralph told me he tried to join the army at sixteen but they didn’t let him because he wasn’t old enough so he went and got his mother’s signature. That was great but they still didn’t let him in. The naked women tattooed on his arm was against regulations so he went to the nearest parlor and had an artist dress her in an American Flag. I have a new respect for these men and a new perspective.